You must make reservations at least 5 minutes in advance of the time at Ray's in the City. 340 Ted Turner Dr.Validated parking available after 5:00pm, for 3 hours, in the Americasmart Building 2 parking deck (next to Haveli). You can get to Ray’s in the City from Level A. Go through the entrance door, into the Merchandise Mart. Go right and walk through the bridge over Ted Turner Drive. Go outside to Peachtree, we are on the left. Soothing live music, Tuesday thru Saturday evening. Live jazz and piano by a variety of local entertainers. Let us bring Ray's to you! We offer a variety of items from seafood, sushi, sandwiches and platters, lunches or dinners. Available for drop-off or full-service. Please call for more information! 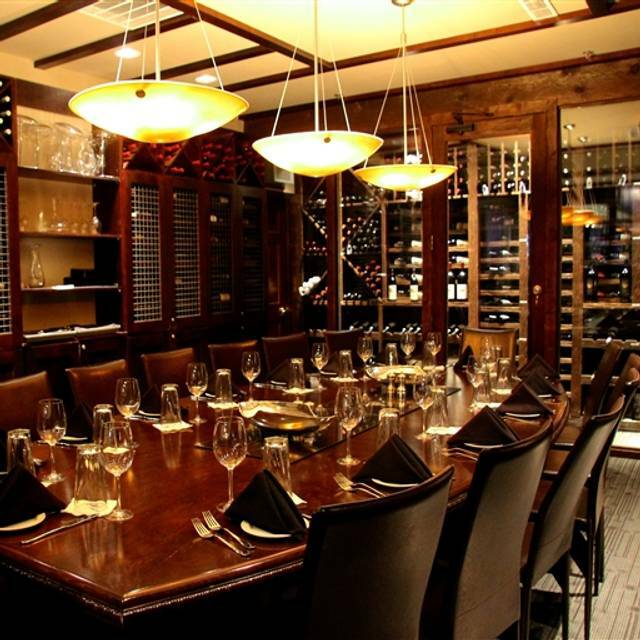 Ray's in the City offers seafood flown-in-daily, prime steaks & chops, an award-winning wine list, hand-crafted cocktails, and a professional service staff. We look forward to serving you! Celebrating all Moms! Join us on Sunday, May 12th from 10am-8pm for our Mother's Day Buffet; $50/adult, $25/child (ages 5-10). Preferred seating now available! Celebrating all Dads! Join us on Sunday, June 16th from 12:00pm-9:00pm...we'll be offering our Dinner Menu all day! Celebrate Easter Sunday with your family & friends at Ray's! Join us on Sunday, April 21st from 10am-6pm; $50/adult, $25/child (ages 5-10). Preferred seating now available! This was my second visit in 3 days and the food is delicious! The lobster and steak was flavorful, topped with the creme brûlée corn. 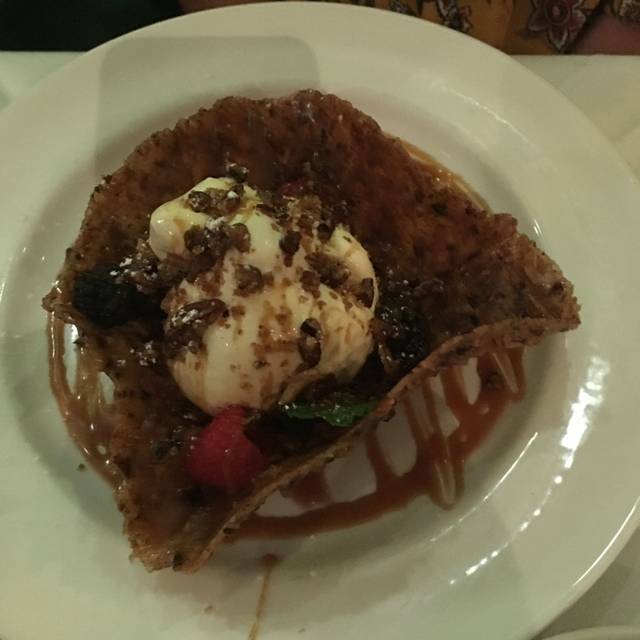 To end dinner, try the pecan basket to cleanse your palate. Jesus was wonderful and so welcoming and attentive! Overall a wonderful experience! Our server was fantastic. That was the best part. Food was good but a bit pricey for a business lunch. Service was great and accommodating with food restrictions. Everything tasted great. Staff very informative and friendly. The service and the food was very good. My only complaint was the noise level. My spouse and I felt like we were yelling across the table. We had not been back to Ray's for quite awhile. Before it was excellent. But... this time no. Lobster Bisque was much too spicy and crab cake appetizer was bland and no lump meat. Shrimp cocktail was excellent. Grouper was just OK. Also, difficult to find parking so not pleasant evening. But, highlight was our server, Danny. He did a great job. We were treated very well on our anniversary, complete with complimentary roses and dessert. The steaks were perfect as were the Brussels sprouts. Our server was very good even though she'd never heard of a rock shandy (and neither had the barman). 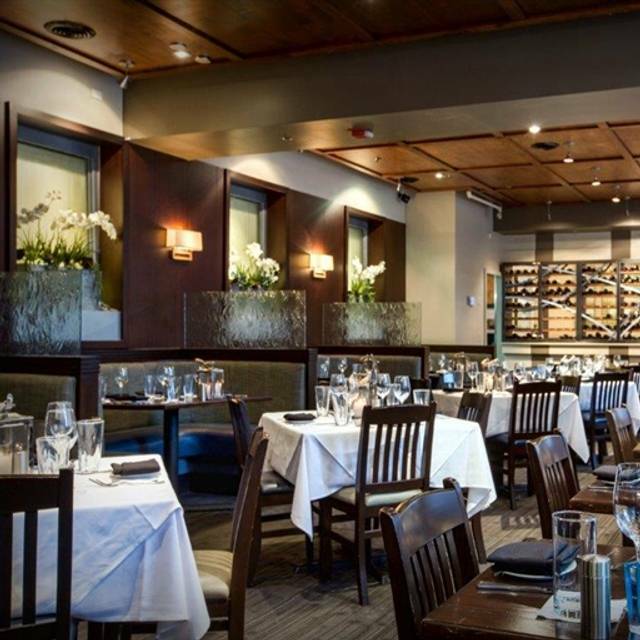 It's a loud , up-tempo venue, so don't expect a quiet, romantic table in the corner. The restaurant was busy as expected on a Saturday night. However, the waiter offered us drinks right after we were seated and did not ask us again for the remainder our stay. The drinks aside, the waiter did not deliver the level of service expected at a restaurant of this caliber. I watched him provide significantly better service to the tables around us. We have dined at Rays on the River and Rays Killer Creek on numerous occasions and have always received excellent service. It is fortunate that this was not our first experience with Rays. We will dine with Rays again. However, it probably won’t be at Rays in the City. 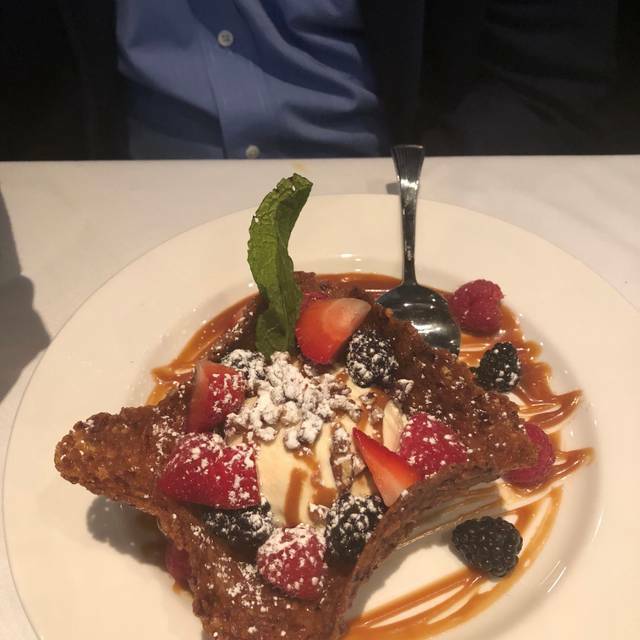 we were in Atlanta for the weekend and our hotel was within walking distance to the restaurant; we read some reviews and decided to give Ray's a try. Since we had been on a walking tour of southern foods earlier in the day we both decided on salads, drinks and of course dessert! 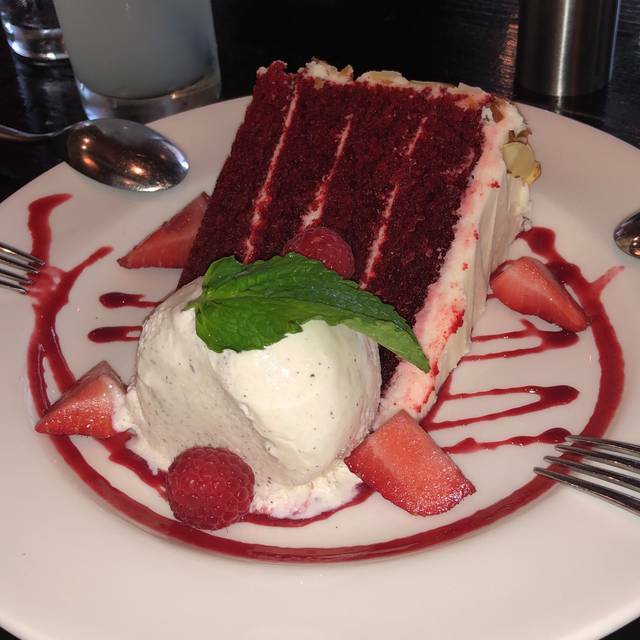 my friend had the brownie and i had the absolutely delicious butter cake. All in all, a tasty meal for a fair price. Service was good given the restaurant was pretty full with pre-prom couples. In writing this review, you'll understand why it was not given the full star rating, admittedly so, maybe by my own pretentiousness. 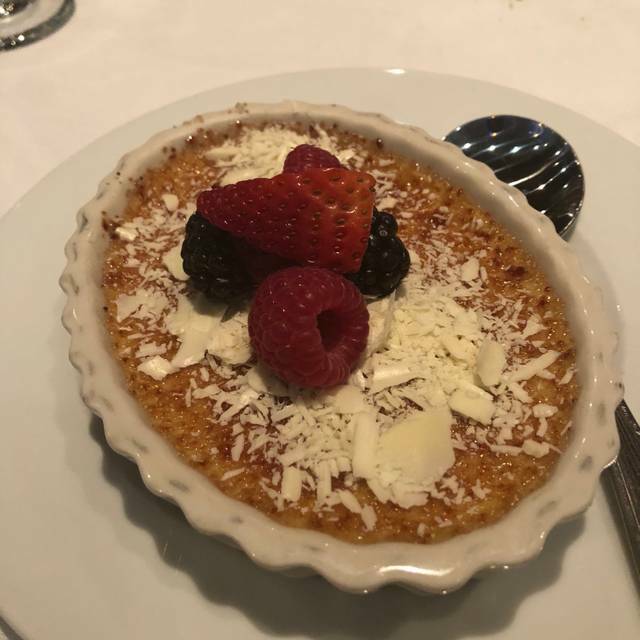 To justify the 4 stars, the food was amazing, Delmonico Steak, Salmon Oscar, Lobster Tails and Swordfish all cooked to perfection. The service from our waitress (Ally) was outstanding. She was punctual, attentive, yet not overbearing. She kept good contact and general conversation to the right amount of time. Great job to our server!!! Now to the reason not for 5 stars... We were celebrating a birthday, party of 4, so we decided to indulge in 4 shots of Louis XIII. This has become customary for us, so we're very familiar with Louis XIII. If you aren't familiar, you've probably seen the bottle though...(It's the big red box normally on the top shelf of any fine dining restaurant /bar. So whenever you order LXIII, your supposed to get this grand presentation equipped with hot towels, gloves, signature glasses. The person presenting (normally the GM) is expected to verbalize the history and background of LXIII, all of which plays into the price and allure of LXIII. Aside from it's distinct taste of over 200 notes, this 100 year aged Cognac represents the efforts of one century and deserves respect with each sip! In this case, during our visit to Ray's, we were offered nothing of the sort. The bartender could've poured us Jack Daniels and it would've been the same experience. I'm sure the reps for LXIII would not take kindly if they knew their product was not presented in a manner in any way less the perfect. A shot a LXIII falls somewhere between $150-$300, Ray's was just $125. The silver lining was we were the last to finish the bottle, in keeping with custom, whoever finishes the bottle gets to keep the Bottle and Box! Good food, good service, fun atmosphere. Would highly recommend and will revisit again. As for the LXIII experience, supremely underwhelmed and disappointed in the lack of knowledge and respect towards the presentation. Great food, and service. Will recomend to others. Steak was just a hair overcooked. Other than that great all atound. The place is over priced. Service was awful. It took 30 min to get our wine and by that time we had finished our dinner. We had to ask about the specials of the day and offer ourselves dessert. Not what I expected for an upscale pricey restaurant. Delicious steaks and brussel sprouts!! Wonderful dinner. We made a reservation well ahead with open table. We were not seated until 45 minutes after the time, then we were seated right behind the bar. It was so loud we could not hear ourselves think. When we asked about being moved they said they had nothing, and that Open Table had messed up and overbooked. It was a terrible experience. The place is not worth it.....very disappointing. We used to like to eat there. Then, to top it off we didn’t even get points from Open Table. I would like to know if the mess there that night was Open Tables fault or not! Great food and service. Very good restaurant in downtown Atlanta. This was my husband's first experience at Ray's In The City and He LOVED it. The food was amazing and the quality of the food impeccable! We will definitely come back when visiting Atlanta again. Second visit in less than a week due to being in Atlanta for an event. Second visit even better than the first. Exceptional service and food. We were treated as if we were the only people on the restaurant. First time here. Food is definitely good, chilly tower and roasted mushroom are amazing. Service was not satisfied and there was a drunk guy talking a lot. I think it should not be usual. First of all it’s Atlanta so we got caught in traffic and missed our reservation by 20 min. but no problems we got sat immediately the lady who sat us was kind and courteous and very understanding. Food and service was Awesome!! Thank you Jack for your kind comments. We at Ray's pride ourselves to accommodate for Atlanta traffic. We can not always get our guests seated right away if late, but it is our first and main priority. Thank you for dining with us and we hope to see you soon,. The proportions are so small. This is a restaurant, not some where to eat a kind of expensive snack and get Taco Bell afterwards. Rays on the River would never. You guys need more options for people with allergies too, because none of your main dishes or shareable sides is suitable for someone with a dairy intolerance, meat/fish allergies or someone who gets hives from eggs. They got a salad and it was so small, it was on a bread plate with two tomatoes. Chef Dean is amazing, and the staff is very welcoming. It was my son's 11th Birthday, and everyone treated him so well! I had a great time celebrating my birthday at Ray's in the City! The service, food and ambiance was phenomenal!!! I am a vegetarian, love spicy food and support sustainable farming. I was able to eat amazing food in a seafood restaurant and I left totally satisfied. Amazing food- Variety and taste-wise. great staff. They were able to make a lot of recommendations and they all were very good. We had a toddler who was happy with her food as well. our friends are seafood lovers and LOVED every single bite of it. one thing- no baby changing station in the bathrooms. We had to leave early to go back to the hotel room to take care of that but the hostess offered to help with diaper change if that meant holding the baby to help us. that's sweet but I hope they are not anti-baby establishment and will install a diaper station- a nice one- soon. Great food. Ask formTroy as a Waiter he is outstanding! Love the wines by the glass! We visited Ray’s while attending a national conference in Atlanta. We had a party of 7. 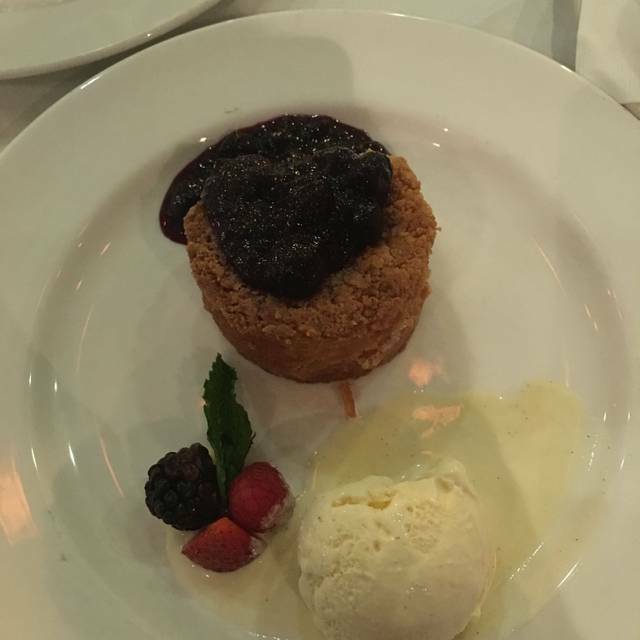 The food was exceptional and the service was even better! 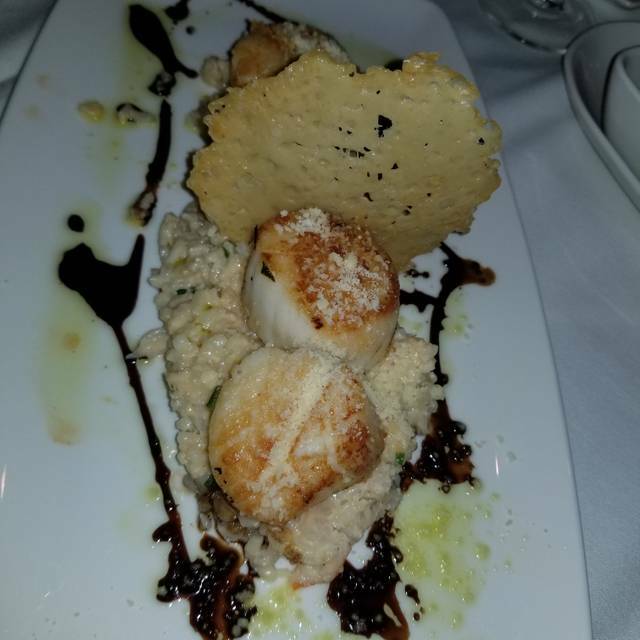 Had the scallops - was very good. A little pricey but would go back. Phil was great!! Extremely attentive and helpful with recommendations. The entire experience was wonderful. We will definitely dine here again. Highly disappointed. Will not return. The food was very good, especially the spinach side dish. Yet what made the evening special was the great service we received from our waiter Mercury Jackson. He was not just very helpful, but as very courteous. I've eaten at Ray's numerous of times and yesterday was not the experience I was expecting. The server was not as attentive as the service in the past. Incredibly noisy. Had to ask for water several times. The male waiter was a bit dismissive after we decided not to order any alcoholic beverages. Too expensive for the quality of the food. I rather try another restaurant that go back to this one. I love everything about this restaurant except the noise level is through the roof. If you are wanting a nice and quite meal this is not your place. The food is excellent and the wait staff do an excellent job. But for a romantic or business meeting you better consider something else. Both steaks that were ordered were over cooked. Salmon Oscar has almost no crab meat and was just ok. Service was not up to par. It was my birthday and the experience was excellent. Thanks for making it special. Both the hostess and our server were so incredibly rude (neither bothered to look us in the eye and appeared bored and impatient to be there). I took business colleagues here and was so ashamed that I brought them here. Always great, especially the daily lunch specials.